The Sizzler Deluxe with Low Lid is perfect for camping, caravanning and boating due to its compact size and shape. The Sizzler Low Lid is only 175mm high fitting into the smallest of cavities in your Boat, Van or RV. It comes standard with non-stick Teflon coated cast aluminium full . . . The Sizzler Deluxe High Lid has a viewing window giving more internal height and the ability to monitor your food while it is cooking without losing heat. This is an extremely versatile and compact cooking appliance. With the optional cooking rack it can be used as a barbecue, a cooktop and an . . . 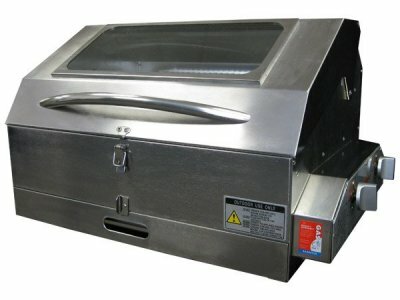 The Galleymate 1100 with cook for 4 - 6 people. 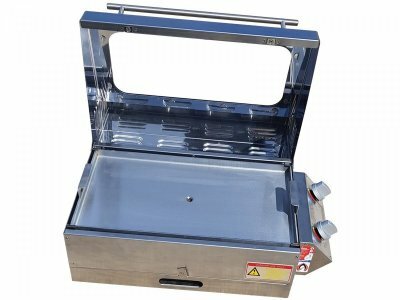 It can also be used a cooktop, oven (with optional cooking rack) and also has a Spitroast/Rotisserie option. Can be used for barbeques on boats, camping, caravanning or home entertaining. 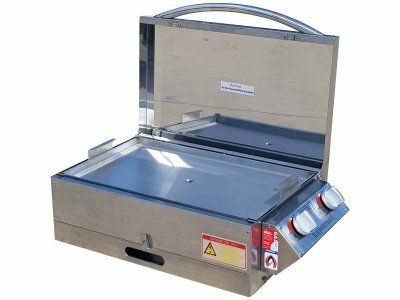 Comes with standard with stainless steel full hotplate. . . . The Galleymate 1500 uses twin stainless steel burners that are completely protected from the wind. 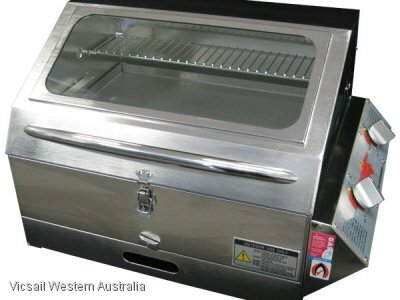 It generates 23,000 BTUs and can also be used with our spit roast/rotisserie option. It is ideal for cooking for up to 10 people. The Galleymate 1500 is designed and built for boating, . . . The Galleymate 2000 uses twin stainless steel burners that are completely protected from the wind. 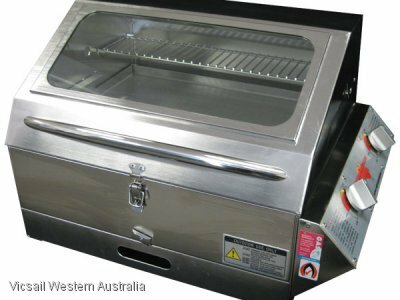 It generates 23,000 BTU's and can also be used with our spitroast/rotisserie option. It is ideal for cooking for up to 12 people, by using the spitroast/rotisserie option you can cook for up . 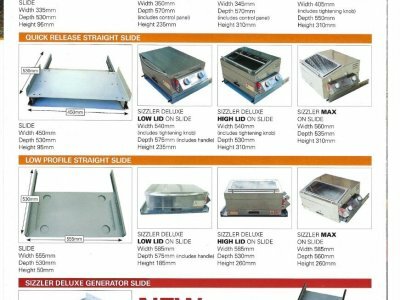 . .
Slide Mounting Options: LOW PROFILE STRAIGHT SLIDE - Our lowest height slide - AUD $130 incl GST - Straight Slide System - Slide straight out and you are ready to start barbecuing. - Space required approx. - Height: 50mm, Width: 555mm, Depth: 460mm. - Barbecue sits up 15mm from the . . .
COLLAPSIBLE STAND AUD $120 incl GST This Stainless Steel Stand is ideal for setting up on a beach or camping. 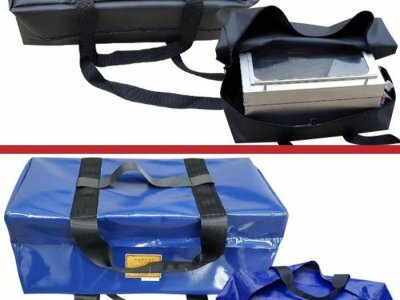 It dismantles and folds away flat to 900mmx 450mm and only weighs 2 kilos. It is designed to fit into the boot of a car, boat or caravan. Height: 750mm Width: 450mm Depth . . .